i have heard that question so often that i sometimes don’t give it the attention it deserves. certainly, meeting a facebook friend whom you’ve known for years poses few dangers. meeting a facebook friend who is a relative even fewer (except for possible crying jags). the gal you sang in the church choir with but moved to st. louis? please! but what about facebook friends you’ve never actually physically met? kathryn barnes went to wales to meet some new facebook friends and she was last seen at swansea's high street train station on january 4. while all her contact information has been stripped from her account, facebook of course would still have it. her mother is frantic. if i were her mother, i'd be frantic too! the short answer to the question of whether i’m afraid is no. the reason is that every time i meet a new facebook friend, i bring a chaperone. during the past year, i have never taken a trip without someone there. preferably someone who knows how to drive at night (i’m not great at it) and can carry my bags if necessary. having the initials joseph leiber presser certainly helps as well–and my son is a wonderful chaperone and once shooed off a facebook gentleman friend who entirely misinterpreted the nature of my new years resolution. it was “arlynn meets all of her facebook friends” not “arlynn does all of her facebook friends”. . . the chaperone who took me to mexico city was a captain in the u.s. army, twenty six years old, nothing romantic going on but he was determined i would make it there and back. the first thing he did when we got there is something i think all american travelers should consider–he walked me from the hotel to the american embassy, making me memorize the landmarks along the way and everywhere we went in mexico city, he referenced where we were in relation to the embassy. it seemed paranoid but really, he knew that if we ever got separated or if something disastrous happened, i was heading straight to the embassy and asking for a cheeseburger and an american flag thermal fleece blanket! having a chaperone usually doesn’t cause a problem. we all understand the world is a place that contains a few crazies. sometimes i think my facebook friends have come to like my chaperones. 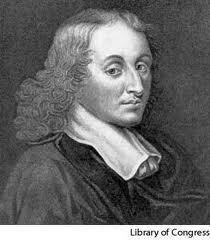 blaise pascal was a mathematician and philosopher. he'd probably wager that having a chaperone is unnecessary but that the horrors of the damage created by the one time i would need a chaperone are so great that i was wise to just use one every time. he had some stuff about atheism, God and hell along the same lines. i have had facebook friends who are within such a geographical distance that i have made exceptions. for those facebook friends, the rule has to be public place. must meet in a public place. and in those circumstances, i always let someone know where i was going and with whom and for how long. 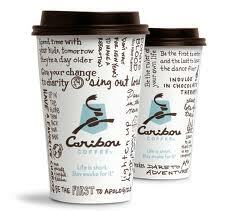 caribou coffee is the second largest retail distributor of coffee in america (guess the first and you'll win a prize). coffee shops were created for the purpose of meeting people. use them! there were a few facebook friends from the previous year who insisted on the absolute forbidden: meeting alone at one or the other’s house. these friends are part of that ten percent i never saw. they wouldn’t back down on those “i’ll bring a bottle of something special over to your house tonight” terms. one gentleman friend whom i have never met was driving to my house because i had made that exception . . . but i had not one but two chaperones with me. . . i explained my two friends would join us. and i later got a text saying my facebook friend’s cousin had been jailed for speeding and my friend was called away. how inexplicable but average. i’m sure that kathryn barnes is all right. 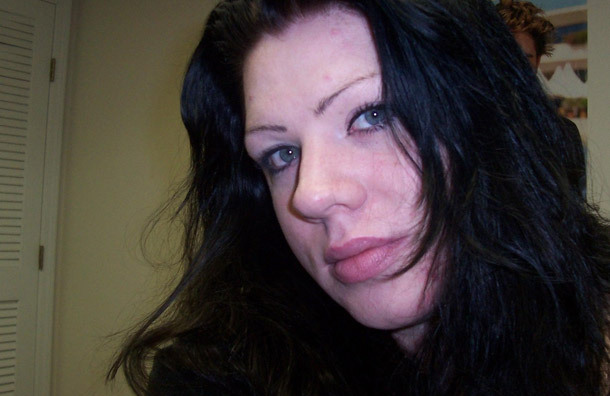 her facebook friends have been cooperating with police. she might just have had a tiff with her mother and wanted some time off. she might have wanted to create an entirely new life for herself. she might not even know that anybody is worried about her. or there may be something totally off. totally wrong. totally nancy grace. oddly, facebook now reports that all of its users are now within four degrees of separation from each other. which means if you have a facebook account, you know someone who knows someone who is kathryn’s friend. which makes me wonder if there was a facebook friend she had recently added, someone who isn’t part of the storyline. this puzzle could be solved. 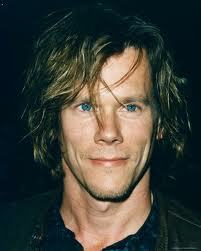 kevin bacon has been in so many diverse movies that a game was devised called "six degrees of separation" in which kevin could be linked to any hollywood star through his movie roles. facebook allows you to be kevin bacon but even more closely connected. so am i afraid to meet facebook friends? well, not on a physical danger level. i’m more just anxious. that’s part of who i am. one day i will learn to own the entire anxiety piece of me. in the meantime, i have had a wonderful year of meeting facebook friends and this year’s new years resolution is to meet twelve facebook friends who want me to make a difference for them. i have two lined up for late january early february. i have a friend in st. louis who is going to get out of the “safe” zone for a cardinals game. i have to take what i was given last year–which was a lot of time, friendship, frequent flyer miles, homemade dinners, a garmin gps system, a william clark doll to remind me that i’m an explorer, a portrait, a courage bracelet, and a whole lot of chaperoning. . . and i have to give that back to others. without any fear. p.s. if you have any information on kathryn, please call the swansea police at 0110 01792 654 844 she’s a beautiful gal and she needs to be known to be safe.